Are You Wondering What Should Be Done After Facing A Catastrophic Truck Collision, Car Accident Or Any Other Kind Of Accident In West Hills, California? Truck accidents can cause major property damage and very severe injuries and even deaths. Our aggressive yet compassionate and caring West Hills truck accident personal injury lawyers will assist you during your personal injury case or wrongful death claim. We possess over 40 years of experience in handling personal injury claims and wrongful death cases in West Hills, Woodland Hills, Canoga Park, Calabasas, Los Angeles and California. In fatal truck accident claims or car collision cases, a good number of insurance companies may pull out their support and palm an excuse for not paying a fair settlement amount that is due a victim. For clear and complete legal advice and support during these tough times, seek assistance of our expert truck accident personal injury lawyers. Our lawyers employ their expertise and competency to acquire the maximum compensation for our injured clients once the legal proceedings set into action. You can contact us for a completely FREE & CONFIDENTIAL CONSULTATION. For more information on our experienced truck accident personal injury lawyers, please visit our home page. To know about our lawyers, feel free to check our lawyer profiles, and our personal injury & wrongful death case testimonial pages. You can reach us directly at 818-222-3400 or 1.866 INJURY 2, or simply click here for our 24/7 contact form for your FREE & CONFIDENTIAL consultation and case evaluation. About West Hills, Los Angeles, Calif. Located in the western San Fernando Valley region of northwest Los Angeles, CA, West Hills is an affluent residential and commercial neighborhood. As per the 2010 U.S Census, the total population was 38,814 people in West Hills, California. The percentage of residents aged 35 and above is among the highest in Los Angeles County. A noted resident of West Hills was professional baseball outfielder for the Toronto Blue Jays, Kevin Pillar. 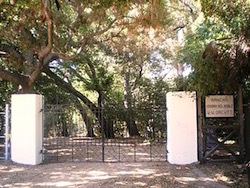 The neighborhood was formerly the home of many Native American Tribes, and during the early Spanish and Mexican era was a part of Mission de San Fernando. During the subsequent American era, West Hills was part of Owensmouth, which was renamed Canoga Park in 1930. 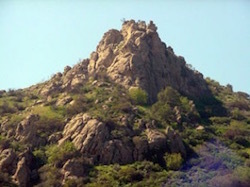 West Hills later was incorporated into western Canoga Park, a community within gigantic Los Angeles City and later changed its name to its present name of West Hills in 1987. The public transport system of West Hills is called the Metro, which is operated under the Los Angeles County Metropolitan Transportation Authority (LACMTA). It connects to transfer points and hubs in nearby places including Woodland Hills, Canoga Park, and Chatsworth, which connects to famous sites like Universal City and famous theaters in Hollywood like the Dolby Theatre (formerly named the Kodak Theatre) which hosts the annual Academy Awards and the Pantages Theater, both located on famous Hollywood Blvd. The Metro, which in the west San Fernando Valley is called the Orange Line, also provides a safe and efficient bike path to ride east and west parallel to and between Ventura Blvd. (to the south) and Victory Blvd. (to the north). Truck accidents occur for many reasons, including large trucks (such as large commercial trucks, semis, 18 wheel tractor-trailers and large pick-up trucks) have larger blind spots, heavy trucks are harder to stop, and often due to driver fatigue or improper training and improper maintenance of the truck, especially their tires and brakes. These large and heavy trucks often cannot stop in time due to their great momentum (i.e., weight times speed) whenever there is a sudden hazard ahead. This is one key reason truck drivers are required to undertake special training, including how to always maintain a safe space cushion while on the road and how to properly inspect their trucks before starting their trips. The weight and mass of a big rig vehicle can be a potential hazard in the hands of an untrained truck driver or poorly maintained truck. When truck drivers fail to adhere to all safety regulations, especially in bad weather conditions, the result can be a catastrophic truck collision, which can leave people in smaller vehicles, such as motorcycles, cars and even bicycles, with grave and life altering injuries. Blind spots and low visibility are among the most common causes of truck accidents. Thus, it is often advised to keep a safe distance, particularly on freeways, from larger trucks. Avoid the blind spots of truck drivers. Commercial vehicles and big-rig vehicles are protected by their employers and commercial insurance companies, but, a victim, who has survived a catastrophic truck collision albeit with debilitating injuries, has no automatic support system when it comes to their truck accident personal injury claim. In fact, they are not in a mental space to be aware of their surroundings, make prudent decisions and even fight their personal injury lawsuit against the trucking giant. 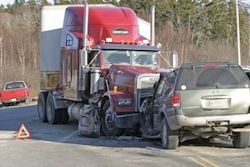 That is the time to consult with experienced and expert truck accident attorneys and their law firm. Speak directly with our experienced truck accident injury lawyers or any member of our legal team at 818-222-3400 (after hours, please press 1) for a FREE, CONFIDENTIAL no-obligation consultation. Fill-in our short contact us form to learn about your options and receive a complimentary case evaluation. We Handle Truck Accident and Personal Injury Accident Cases on a Contingency Fee Basis! There is NO Fee Charged Until You WIN! And the consultation is FREE & CONFIDENTIAL!